This tour through Thailand includes visits to some of the cities that have served as the country’s capital: Bangkok, Ayutthaya, and Sukhothai. 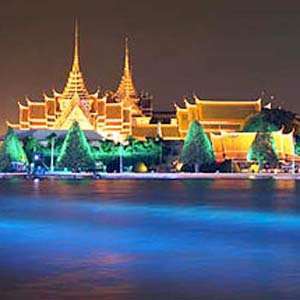 In Bangkok—Thailand’s current capital—visit the Temple of the Golden Buddha; the Temple of the Reclining Buddha built in 1832; and the Grand Palace, the royal residence begun in 1782 where you’ll see the Emerald Buddha, Thailand’s most sacred Buddhist sculpture. In Ayutthaya, Thailand’s ancient capital, your sightseeing includes a visit to Bang Pa-In Palace, which was built as a summer residence for the Kings of Ayutthaya. In Sukhothai, Thailand’s 13th-century capital, visit Sukhothai Historic Park, a UNESCO World Heritage Site with ruins of palaces, temples, and homes. 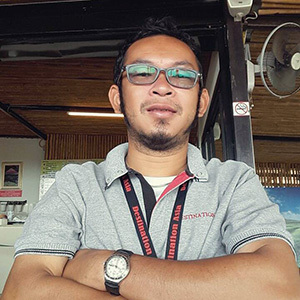 On this Thailand tour, you’ll also have an opportunity to learn about the Thai culture. 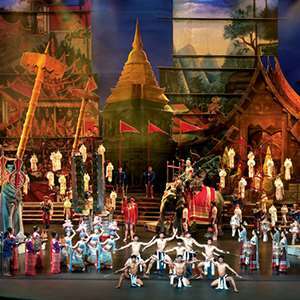 In Bangkok, enjoy a Thai dinner accompanied by Thai classical music and dancers. Visit the legendary Damnoen Saduak floating market to see traders sell exotic fruits, vegetables, and more from their boats. And in Chiang Mai, enjoy a visit to San Kampaeng to see local craftsmen make Thailand’s traditional lacquerware and antique wood furniture. But that’s not all…visit the “Golden Triangle,” where Thailand, Laos, and Myanmar meet, and take a train ride over the famous River Kwai Bridge, part of the infamous Death Railway built by prisoners during World War II. Visit Hellfire Pass Memorial, which houses a museum detailing the life of the Allied prisoners and Asian laborers who helped build the railway. You’ll also spend time at an elephant sanctuary, where over 30 elephant’s room freely in a sustainable environment free from mistreatment. Private, deluxe, air-conditioned motorcoach while touring. Welcome to Thailand’s capital city. Hotel rooms are available for mid-afternoon check-in. 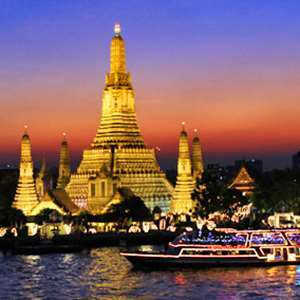 Bangkok is an exhilarating blend of historic and religious monuments, chic modernity, exciting shopping, and friendly culture. An exciting day of sightseeing is ahead. Take in the city’s principal landmarks such as the splendid TEMPLE OF THE GOLDEN BUDDHA and the spectacular TEMPLE OF THE RECLINING BUDDHA, the oldest and largest Buddhist temple in Bangkok. You will also visit the gleaming GRAND PALACE, Thailand’s most sacred monument, and the spectacular TEMPLE OF THE EMERALD BUDDHA. This evening, enjoy a special THAI DINNER, accompanied by Thai classical music and dancers. Explore Bangkok at leisure, perhaps enjoying the great-value shopping, lively market, and delicious Thai cuisine. Visit the legendary DAMNOEN SADUAK FLOATING MARKET, where traders sell all manner of items from their boats, including exotic fruits, vegetables, silks, and toys. Then travel to Kanchanaburi on the banks of the Kwai River, famed for the River Kwai Bridge, built during WWII. Visit the ALLIED FORCES CEMETERY and spend time in the fascinating THAILAND-BURMA RAILWAY CENTRE. Today’s highlight is a TRAIN RIDE across the famous bridge to Wang Po Station. This afternoon, visit HELLFIRE PASS MEMORIAL, part of the Death Railway that cuts through the mountains. Today, it houses a museum detailing life of the Allied prisoners and Asian laborers who helped build the railway, and subsequently suffered or died at Hellfire Pass. Today, head to Ayutthaya, ancient capital of Siam. Here, you will visit BANG PA-IN PALACE, which was built in the 18th century as a summer residence for the Kings of Ayutthaya. Depart Ayutthaya to Uthai Thani and CRUISE along Sakaekrang River, enjoying the local life. Later, drive to Phitsanulok, one of Thailand’s oldest cities, founded over 600 years ago. This evening, consider an optional rickshaw ride to experience Phitsanulok’s colorful night market. Journey to Sukhothai, Thailand’s 13th-century former capital, and admire the atmospheric, moated Old Town. Here, you will visit SUKHOTHAI HISTORIC PARK, a UNESCO World Heritage Site, and explore ruined temples and monasteries, including WAT SI CHUM with its stunning seated Buddha. Later, travel through rural countryside to Chiang Rai. Enjoy breathtaking vistas as you journey to Doi Mae Salong and visit a TEA PLANTATION. Continue to Mae Sai, Thailand’s northernmost town, and on to the renowned GOLDEN TRIANGLE, where the borders of Thailand, Burma, and Laos meet. You may consider an optional boat tour on the Mekong River. This morning visit WAT RONG KHUN, also known as the White Temple. 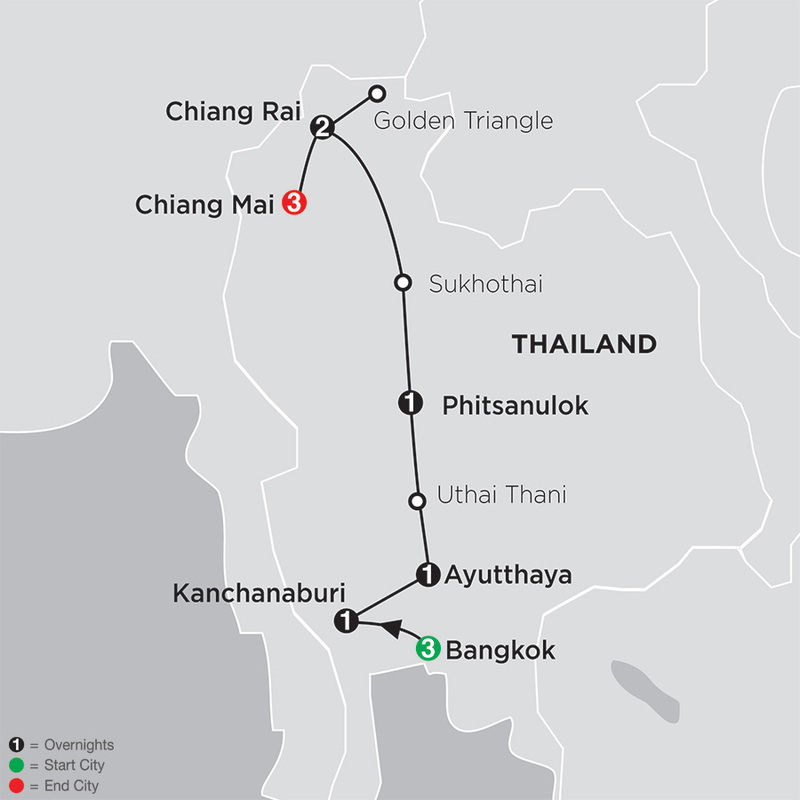 Then, continue through lush jungle to Chiang Mai, a fragrant mountain retreat known as the “Rose of the North” for its refreshing climate. 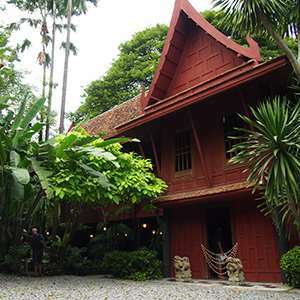 Upon arrival, visit SAN KAMPAENG to see local craftsmen make Thailand’s traditional lacquerware and teakwood furniture. Spend the morning at an ELEPHANT SANCTUARY, where over 30 elephants roam freely in a safe and sustainable environment and are not subjected to mistreatment (including rides). Here, you have the chance to touch, feed, photograph, and interact with the elephants at your leisure while you learn about their lifestyle and behaviors. This afternoon, visit WAT PHRA SINGH with its famous Buddha image, and WAT DOI SUTHEP, a temple tucked away in the mountains. For the final ascent to the temple, you can take a tram car or walk up the Naga (dragon-headed serpent) staircase, with more than 300 steps. Today is free for you to enjoy this dynamic city. You may opt to join our optional Thai cooking class and learn the secrets of traditional dishes. See the city from a different perspective on this rickshaw ride through town.